The washing up is piled up around me, the children are running feral in the garden and everyone is starving!! Typical reference to said horse was right at the back of the book and so many interesting bits to read before I got to the end! Poor family must go and attend for a bit . I spent hours last night searching for this but didn't come close so glad someone had got it or no doubt i'd have sat here again hunting! Not heard from Vera yet so not assuming it's definitely correct until she gives me the thumbs up! This is a fun question really but made for interesting reading in Summerhayes this afternoon. What was the traditional colour of the desert Arabian? and for any smarty pants what is colour number two and three? Bearing in mind the book was written in the 1960's so might not be relevant today. The traditional colour of the desert Arabian was bay, and it will be noticed that this quite lovely colour predominated. A little surprising is the fact that grey, which I fancy the not too well-informed believe (well that would be many of us I suspect!) to be the traditional colour for the Arab, is a bad third to chestnut, now by far the colour most in evidence. Brown is in poor supply in any breed, including the Arab. So there you go, no mention even of black! Lanabanana I believe it is your turn ! Hee hee, ask anything ~ we are just suckers for a quiz ! Don't think it will keep you clever lot amused for long though. 1. How many National titles did he win? 3. In what year did he pass away and how old was he when he died? 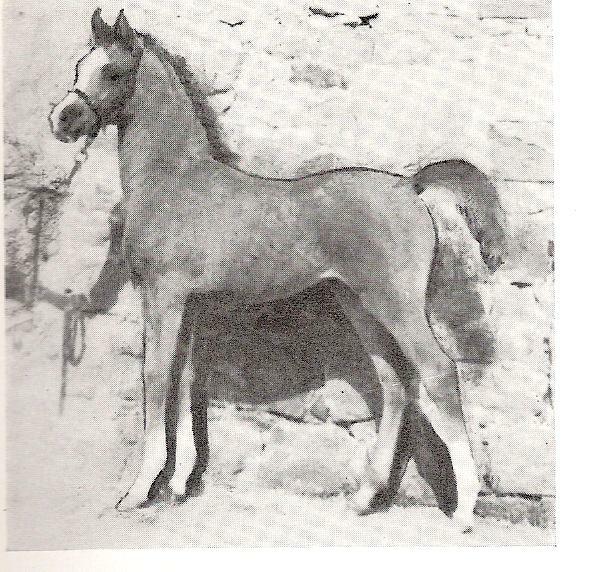 Sakr was given to his trainer Tom Mc nair (who partnered him in the ring ) by his owner Doug marshall at the age of 26, he sired 105 pure bred horses , many national champions themselves , it say's in a nine year period he was never below top ten champion at the 7 national shows he attended . he was 29 when he died . his show record was 123championships, 13 national titles in halter and costume. Fine by me, not sure anyone else is around. Besides I'm still trying to think up a question for the other quiz. morning can you name this foal and who bred it? May we have a clue please Lynda? I was out last night and out again tonight but will try and pop in and out for a look. Vague idea of the year Lynda?! Is it just me or does the shadow on the wall look as though the foals head is in a totally different position with its nose on the handlers hand?